Flowers and People cannot be controlled. team Lab. Singapore 2015. 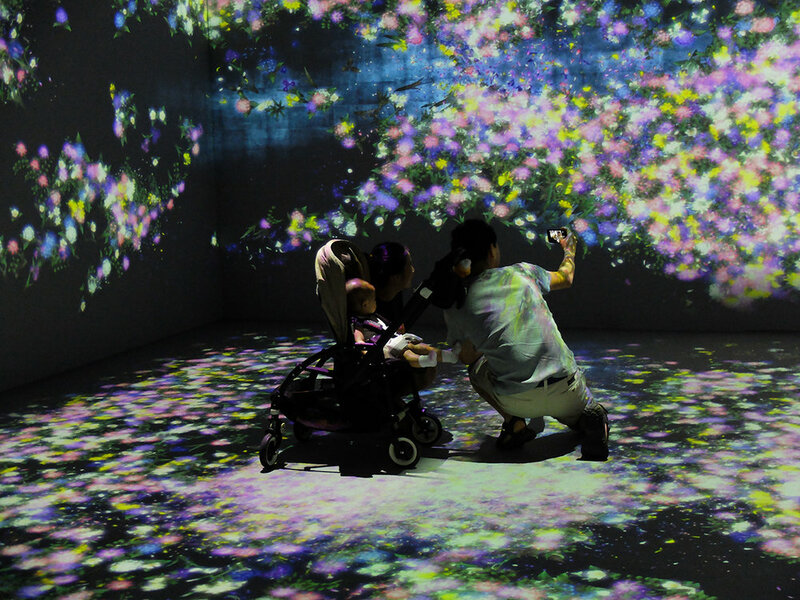 A young family enjoys the immersive digital installation 'Flowers and People cannot be controlled but Live Together.' It was part of the 'Art in Motion' series during Singapore art week. I noticed more than 8 massive projectors used to create the space. The flowers and petals grow, wither and die. As you move, the petals try to grow around you along with a tinkling almost fairy-like sound. Overall a beautiful, almost meditative experience.